Easily tears by hand—no scissors or dispenser needed. The ultimate in convenience for mailing, moving and package sealing. 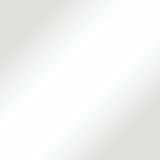 Note: A minimum quantity of 288 must be ordered, and in units of 36 thereafter. 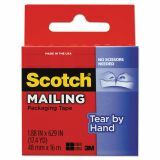 Scotch Tear-By-Hand Packaging Tape, 1.88" x 17 1/2 yds, 1 1/2" Core, Clear - Packaging tape is ideal for mailing, moving, and package sealing. No scissors or dispensers are required. Tape tears straight by hand, but is amazingly durable. Adhesive is made of an aggressive hot-melt rubber resin. Packaging tape meets U.S. Postal Service and UPS regulations.